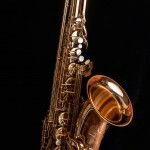 SeaWind Soprano Saxophone now available! - SeaWind Musical Instruments Inc.SeaWind Musical Instruments Inc.
Home / SeaWind News / SeaWind Soprano Saxophone now available! SeaWind Soprano Saxophone now available! The Giant series introduces a new concept in saxophone mouthpiece design that they call “Stealth Metal”. The Professional level Phil Dwyer Edition tenor saxophone is designed to give you everything you would want in a horn, and more. Enter your email address to get the latest SeaWind news. © 2013 - 2019 SeaWind Musical Instruments Inc.